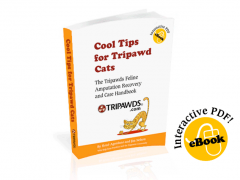 On this episode of Tripawd Talk Radio we will learn how amputation impacts dogs and cats’ bodies. Our guide is Dr. Denis J. Marcellin-Little, DVM, Diplomate ACVS, VSMR and Professor of Orthopedic Surgery at North Carolina State University. 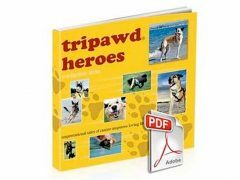 Now’s your chance to catch up on all the best Tripawd health tips we shared in 2016. 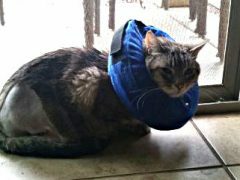 Hop over to watch interviews, listen to podcasts and download tips to help amputee cats and dogs. 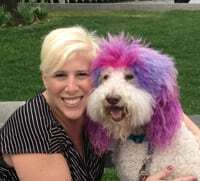 Vet gives cat and dog leg amputation surgery recovery tips in helpful video produced by affordable pet surgery clinic Helping Hands Veterinary Clinic in Richmond, Virginia. Learn current pain management for dogs and cats with American Animal Hospital Association 2015 Pain Management Guidelines.